The king of the modern concealed carry guns is the compact single stack 9mm auto. 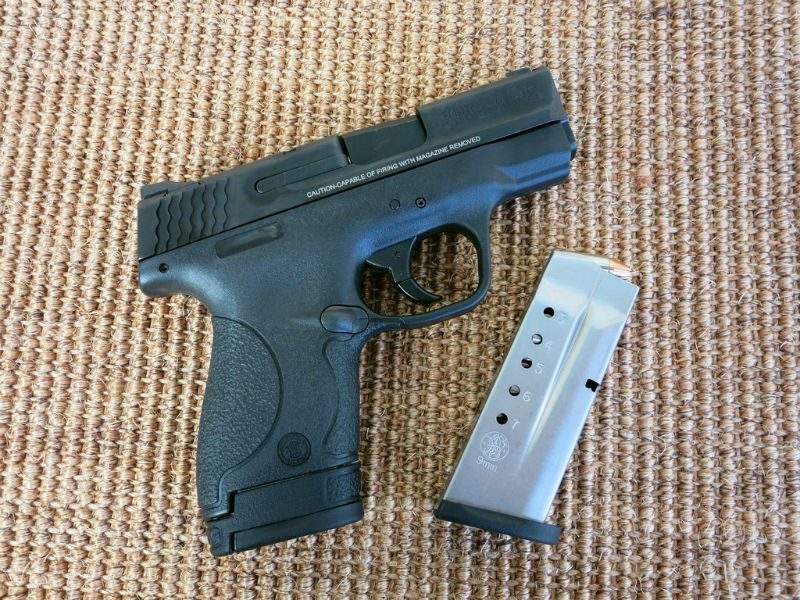 A smallish 9mm puts an effective caliber in a package small enough for virtually anyone to carry all day without issue. Just make sure you have a good gun belt. However, not everyone's budget allows for spending large amounts of money on a carry pistol. That said, it isn't hard to find a gun that's accurate, reliable and concealable enough for a decent price. Here are 5 single stack 9mm pistols you can get for $600 or less. The first single stack Glock pistol was late to the party, as the Glock 43 appeared well after other popular pistols of the type like the Shield, XD-S and so on. However, it made up for lost time as it fast became one of the most popular CCW pistols on the market. The small dimensions make it practically disappear in a belt holster. You can find them in stores for about $500, possibly a bit more or less depending. With that said, you get the Glock safety system, along with the reliability and accuracy that Glock is known for. 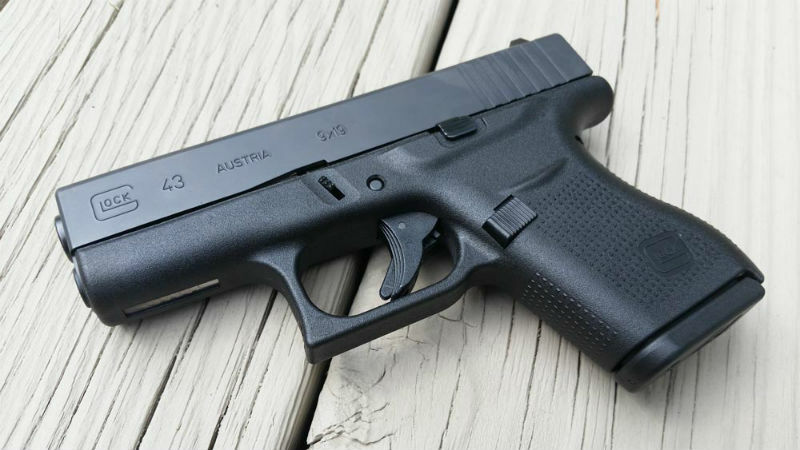 Despite some preferring the 26, the 43 is also a wildly popular Glock for concealed carry. If you absolutely have to have one (and some people refuse to carry anything other than Glock) this would be their single-stack 9mm. The Shield 9mm was created to serve as a backup pistol for law enforcement or for use in deep concealment, and it excels at that role. It's lightweight. It has dimensions that make it small enough to easily conceal but not so small that it's unshootable. It's just a bit too big for pocket carry, but could be given the right pocket. It's also accurate, reliable and easy-shooting enough to make it a good choice for virtually anyone as a concealed carry gun. These attributes have made it basically the Honda Civic of concealed carry pistols. The point of entry isn't too bad, either. 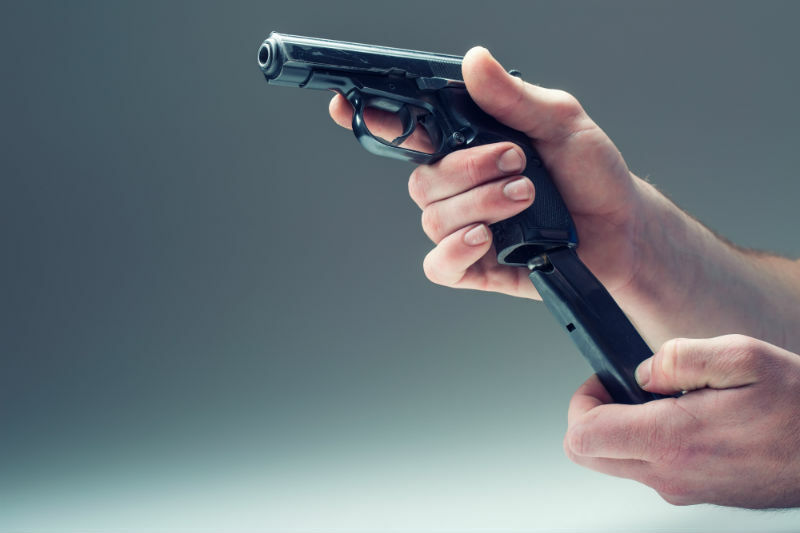 Smith and Wesson give an MSRP of $449, but given that this pistol is in nearly every gun store nationwide, you can expect to part with $400 or less in most instances. Sometimes you'll find them for closer to $300. This single-stack obsession is nothing new; one of the oldest pistol designs on the books was a single-stack. 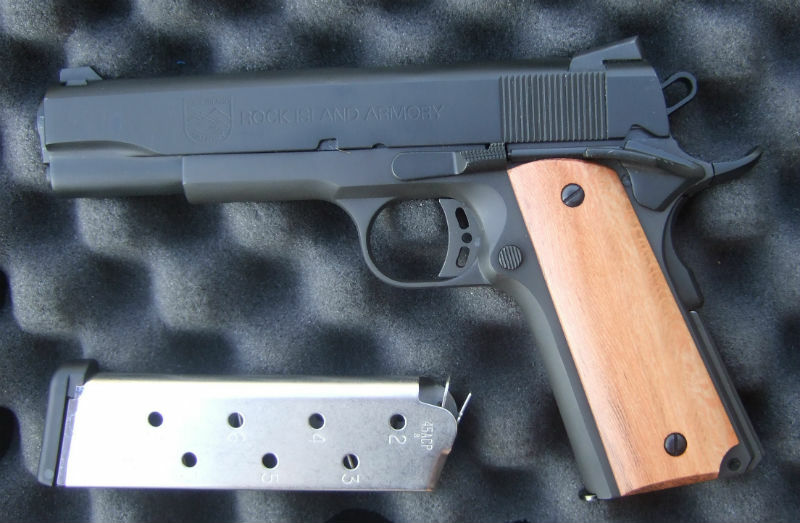 That makes a 9mm 1911 one of the best single-stack 9mm pistols you could get and as it happens, you can get a decent example for less than $600 with the Rock Island Armory Rock Standard 9mm. RIA, based in the Phillipines, is known for making 1911 pistols that rivaling the guns made by more premium names in terms of function and features for a few hundred dollars less. The Rock series is their bells-and-whistles line, giving you upgrades to various bits over GI models that normally would push the price tag closer to $1,000. Their MSRP is $594. Besides the standard Gov't frame in 9mm and 9+1 capacity in the magazine, you also get an upswept beavertail grip safety with memory notch, a commander hammer and Novak-style sights (with Novak sight cuts) along with ambi safeties and an adjustable skeletonized trigger. The same features would cost you $1,000 if bought from Colt or Springfield Armory, and you'll find this pistol for half that in stores. Unlike the rest of the XD line, the Springfield XD(S) isn't offered in compact and full-size configurations, though extended magazines are available. You choose a 3.3-inch of 4-inch barrel, black or stainless slide and caliber of your choice. (They offer 9mm, .40 S&W or .45.) Unlike the rest of the XD line, the XD(S) series is single-stack only. 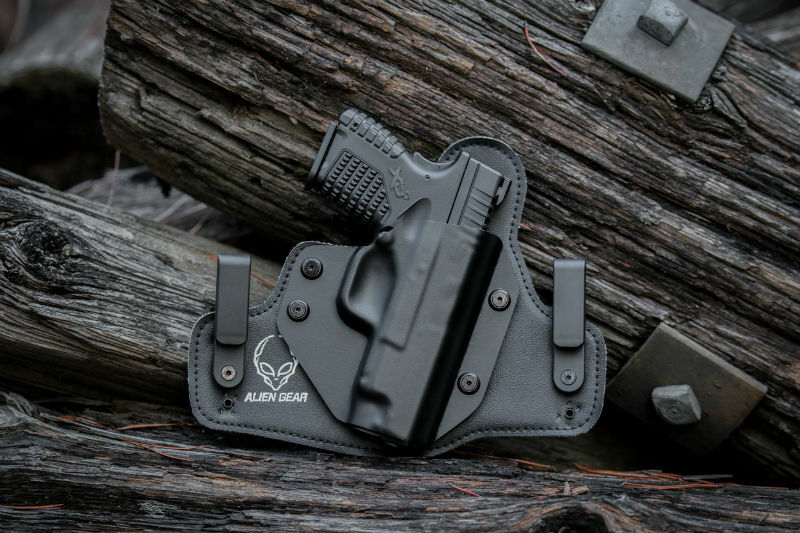 Since their introduction, they have been wildly popular concealed carry pistols as the compact grip, slim width and short barrel length makes for very easy concealment. Since it is Springfield Armory, they're also very good shooters and offered at competitive prices. Springfield doesn't advertise prices, but expecting to pay $500 or less in stores is very reasonable. There are two flavors of Walther PPS - original or the M2. Either is a great choice of concealed carry pistol. Both are slim, compact, poly-striker single-stack 9mm pistols, both come with flush and extended magazines so they can fit a wide variety of hands and both can be found easily for $400 or less in many stores. In both cases, you get Walther's superb ergonomics and also their trigger, which many believe is one of the best made by any manufacturer. The original version has a different shape and also features an accessory rail, though not everyone feels they need one. 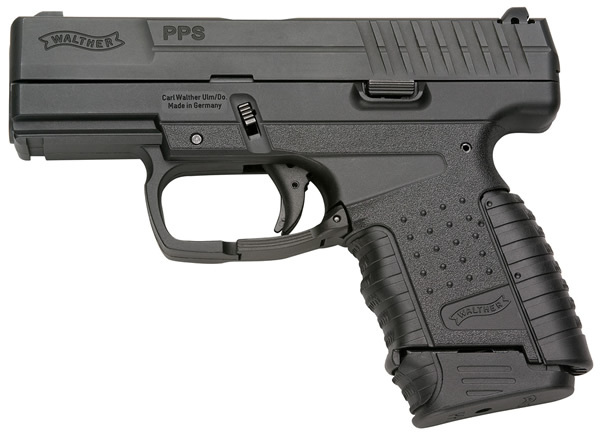 The PPS M2 is a bit more streamlined, though enough people still like the original for Walther to keep it in production. The grip texture and slide are different, but the dimensions are basically unchanged. The original can also be had in .40 S&W, which some people prefer over 9mm. Either, however, would be a great choice for concealed carry pistol. It isn't even Walther's only option of single-stack 9mm for less than $600; there's also the CCP. However, the PPS is simpler to takedown and care for (the CCP is notorious for this) and is slightly cheaper. Granted, the CCP isn't impossible, just slightly more complex, but the average person may find that off-putting. The PPS and PPS M2, though, are a bit easier to navigate.